I would like you to think a bit on what I’m about to ask you. What might the “Commonwealth” mean to you? Perhaps a unity among nations? Or a relic of a time long past, no longer relevant to this modern age? Or might you not even know the full meaning behind the word? Either way, by the end of this commentary, my hope is that you will have a renewed understanding and interest in the Commonwealth. 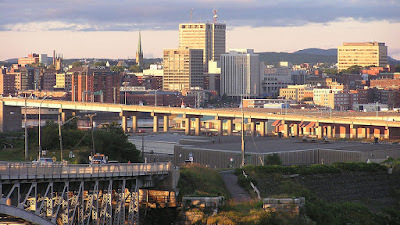 I am a born and bred Saint John boy who spent a good portion of my childhood with my grandmother. My grandfather passed when I was only seven so I would spend many weekends with her. I remember always looking forward to going to Nanny’s house. I fondly recall her love for the Royal Family and the Union Jack. “The Union Jack the flag we love, shall guard our Maple Tree,” is a verse I distinctively remember my grandmother reciting as she would be working away in her kitchen. It was something her class use to proclaim every morning at school, as she grew up in a very different Canada than that of today. This cherished part of my childhood was my initial exposure to the Monarchy and its contribution to the growth of Canada as a nation. When I was 14, I traveled to New Zealand with my parents for the first time. This was my first time travelling to another part of the Commonwealth. I immediately fell in love with its people, culture and way of life. I would go on to travel to New Zealand multiple times and even lived there for a year. I tried staying in New Zealand but was unable to obtain another work permit due to their immigration laws. I have traveled to the other Commonwealth nations of Australia and the United Kingdom itself. They say that travel is the best form of education and I have found this to be so. In a world that is becoming smaller and more transparent, the Commonwealth proves to have a purpose in this new era. I would like to introduce you to something known as the Commonwealth Freedom of Movement Organisation (CFMO). It is a movement which has mobilised hundreds of thousands of individuals worldwide, in just a little over a year. 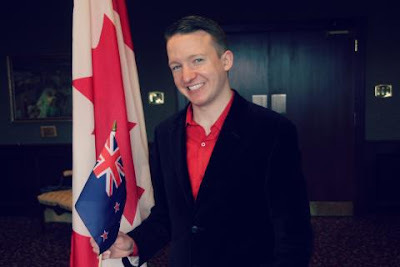 Founded in 2014, the CFMO advocates free movement for the citizens of the United Kingdom, Canada, Australia and New Zealand, advancing the ever growing cultural, historical, economical and political connections that we already share through our Commonwealth ties. The Commonwealth was created in the 1931 Statute of Westminster when all four of these realms joined together in unity. Our petition which has been submitted to the Parliaments of the above mentioned countries has racked up over 160,000 signatures to date and growing. In a poll with a total of 205,776 votes conducted by CBC in 2015, 91.85% (188,992) voted in favour of a free movement initiative. Have you ever dreamed of studying, working and living in another country? Just imagine the possibilities without daunting study permits or work visas. Moving to the United Kingdom, Australia or New Zealand just as if you were to relocate to another Canadian province/territory. It is a big proposition and it will take time but with the support we have been receiving around the world, the wind is at our backs. If the Commonwealth was to be re-purposed and strengthened for future generations, this could very well be the path to making it a reality. A way to reinvent the Commonwealth and introduce it into the 21st century. I don’t know about you but I tend to believe in taking the best of our past and embracing the future, which ultimately lies in our hands.